Immerse yourself in the myths and magic of Thailand at Phuket FantaSea. This cultural theme park showcases the beauty of Thai heritage and welcomes you for an enchanting evening of dining, shopping, and bedazzling entertainment within a stunning 60-acre (24.3-h) kingdom. Enter through the elaborate front gates into the Festival Village, a shopping street lined with ornate buildings representing different styles of Thai architecture. Peruse market stalls selling bright gems, gold chains, silks, and leather, and pause before various street performers entertaining the crowds. Should you opt for the dinner package, feast on royal Thai dishes—served in a forest setting by kinnarees (half-human, half-bird creatures)—before the show begins. As showtime approaches, step into the grandiose Palace of the Elephants, a breath-taking replica of a Thai palace lined with elephant statues. Find your seat and settle in for a night of entertainment as dancers sweep the stage and acrobats swing from above. 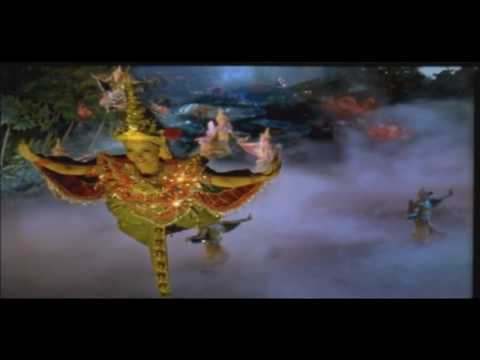 Thailand's legends come to life via the aerial antics of the god Hauman with his crew of animal warriors. Watch ancient battles portrayed through pyrotechnics, and be dazzled as the choreography bring the show to a climactic close. Includes admission to Phuket FantaSea Cultural Theme Park and a spectacular live show. Includes admission to Phuket FantaSea Cultural Theme Park and a spectacular live show, plus pick-up and drop-off at your Phuket hotel. Pick-up takes place at approximately 5 PM. Includes admission to Phuket FantaSea Cultural Theme Park and a spectacular live show with Gold Seating. Includes admission to Phuket FantaSea Cultural Theme Park, a spectacular live show and buffet dinner. Dinner is served beginning at 6 PM. Includes admission to Phuket FantaSea Cultural Theme Park and a spectacular live show with Gold Seating, plus pick-up and drop-off at your Phuket hotel. Pick-up takes place at approximately 5 PM. Includes admission to Phuket FantaSea Cultural Theme Park, a spectacular live show, and a buffet dinner, plus pick-up and drop-off at your Phuket hotel. Pick-up takes place at approximately 5 PM. Includes admission to Phuket FantaSea Cultural Theme Park, a spectacular live show with Gold Seating and buffet dinner. Dinner is served beginning at 6 PM. Includes admission to Phuket FantaSea Cultural Theme Park, a spectacular live show with Gold Seating, and buffet dinner, plus pick-up and drop-off at your Phuket hotel. Pick-up takes place at approximately 5 PM. Children aged 3 and younger are complimentary provided they do not occupy their own seat. Children ages 4–12 or under 4 feet 8 inches tall (142 cm) are eligible for the child price and must be accompanied by a paying adult. The park is open from 5 PM–11:30 PM. Dinner is served from 6 PM–9 PM, and the show begins at 9 PM and lasts 70 minutes. If you do not opt for transport, you should plan to arrive no later than 6:30 PM for the dinner and show option and no later than 7:30 PM for the show only; tickets must be picked up at least 1 hour prior to the beginning of the show. If you opt for transport, pick-up is available from Phuket hotels (not Phang Nga province) beginning at approximately 5 PM. Great garden! Show needs narration to understand the story! Well organised with plenty of staff. Recommend not buying the buffet dinner with package. There are two other restaurants to pick from. The seafood restaurant looked very elegant and the other was a good option to have. The show was absolutely spectacular! It is a “must see” category.